This article originally appeared in the Sept. 24, 2018 issue of SpaceNews magazine. 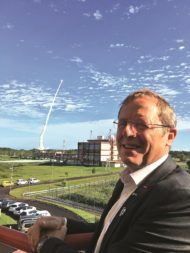 Woerner spoke with SpaceNews senior staff writer Jeff Foust in late August about his extension, the agency’s activities, and its relationship with others, from the EU to NASA. A condensed version of that interview is below. Why did you seek a two-year extension? In ESA, the director general and the directors are elected and confirmed for four-year terms, but the ministerials are every three years. They do not fit to each other. Therefore, I said it’s better to have a three-year logic for the director general as well as for the directors. I proposed not to give me another four years but instead give me two years to the four years which I had already. Then we can see whether I can get another extension for another three years, and three years after that. Some members said no initially because the ministerial is always changing. We had some other discussions about some issues of extension and non-extension and so on, and then in July I came back to my proposal early this year. What do you want to achieve with this extension? What I would like to do is build on what was done already in my period as director general and then to have some vision about what can be done in the future. If you look into what was done through my first term, we had a lot of spaceflights: six missions with astronauts from different nationalities. We had a lot of Earth observation activities. We have 26 Galileo satellites in orbit, and the development of Ariane 6 and Vega C is well underway. The vision of the future has two main aspects. One is to enhance daily life, and we are doing this by shaping our space activities in four pillars: science and exploration, safety and security, all the applications and what you could call enabling and support. The contents of these four pillars, with Earth observation, telecommunications, navigation, all of this, should be enhancing our daily lives. But we are trying not to forget it’s not just to enhance individual human life, but also enabling a bright future of our planet. And how do we do this? We need different activities. We need technological approaches but, more than that, we need also what I call a chain of motivation. Space has the power to fascinate people, and everyone can be fascinated by space missions. People are motivated to create something when we are doing something for the future of our planet, so it’s important that this motivation goes in the right direction. The next ministerial is in late 2019. Is planning for it already underway? Yes, we are already underway. In October, we have what is called an intermediate ministers’ meeting. We are discussing strategic guidelines of the programs. We are internally preparing the next ministeral by formulating proposals — and the four pillars I mentioned are part of this. In order to have a good narrative for what we are doing we created these four pillars, in which we are now developing the different proposals that could be given to the member states. What is ESA’s future on the International Space Station given NASA’s plans to end direct funding of it in the mid-2020s? The International Space Station is the one and only laboratory we have in space right now. It is fully equipped, it can deliver excellent results and we should use it as long as possible. But, of course, we are not blind. We have to also look to the future. We should look into two things. One is what ISS is providing, first of all microgravity research possibilities and therefore we have to provide the possibility for continuing that. The other thing is international collaboration. The International Space Station is really a model of how to cooperate internationally and therefore this part should be continued. We believe that the International Space Station should be used as long as it is affordable and, of course, is technically feasible. There is, for sure, a date where we have to think about stopping those activities and go to the moon with the Moon Village, which includes the Gateway. Have you had discussions with NASA about participating in the Gateway? Yes, we are in discussions with NASA about what we could provide. The first thing is to deliver the Orion service module for further missions. We had some discussion with our member states and with NASA about developing and producing some parts of the Gateway. Are there any specific parts of the Gateway that you’re interested in? There are several. We thinking about the habitat aspect, but this is not finalized. We are also thinking about how we can prepare robotic missions from the Lunar Gateway down to the surface of the moon. Are you planning robotic missions to the lunar surface? We are, together with the Russians. ESA is a part of Russia’s Luna-Resurs. We are also supporting the Chinese for their missions with some operational support. We are in discussions with some of the smaller companies, providing them with some payloads to be transferred to the surface of the moon. This goes back to the question of the Moon Village. The Moon Village is not a project. It is a multipartner open concept and that means that we are playing a role of broker: we are collecting worldwide offers to do something on the moon and we are trying to link the different offers. How would you describe ESA’s cooperation with China? ESA astronauts have trained in China, so could they fly to China’s future space station? So far we had some scientific experiments together with the Chinese. We have a mission planned called SMILE [Solar wind Magnetosphere Ionosphere Link Explorer] which is about the magnetosphere of the sun. Regarding astronauts, we had some astronauts going for training in China. But there’s nothing decided so far. We should look into it because it would make a big difference for the future to have some cooperation with the Chinese in human spaceflight. We should not exclude the Chinese from our global cooperation in space. What is your relationship with new NASA Administrator Jim Bridenstine? I’ve known him for several years. I met him in Colorado Springs at the Space Symposium some years ago. We had our meeting in the U.K. at the time of the Farnborough Airshow [in July]. We went through all the different programs and for me it’s clear Jim is also very much interested in continuing our cooperation on different space activities. And, of course, NASA is for us the premium partner, a reliable partner, and I believe Jim Bridenstine as the new NASA administrator will continue this partnership from his side. ESA has been working a lot with the EU on programs like Galileo and Copernicus. 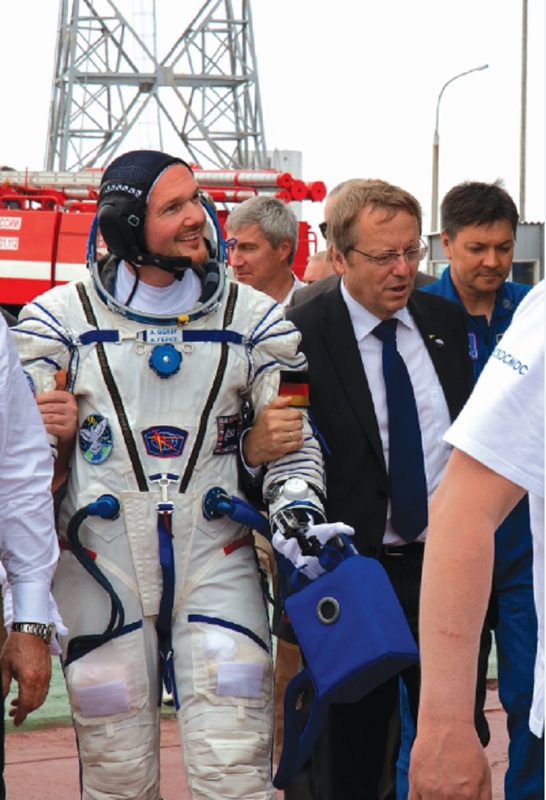 As the EU takes a bigger role in space activities, how is that relationship evolving? Are you concerned that the EU will overshadow ESA in space? The competencies and capabilities of ESA and the European Union are quite different. ESA has a very specific space-oriented goal and objective. We have the technical expertise, we have the procurement expertise, we have our infrastructure for space, our global network for space. The European Union is a political body, so their position is quite complementary to that of ESA and therefore it makes sense to work together. 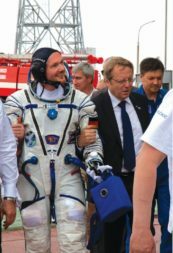 It is good to work together because our competence and our capabilities for space are combined with a more politically oriented competence and possibilities of the European Union. Do you see opportunities for expanded cooperation with the EU in the future? Right now, the first thing is continuation for Galileo, Copernicus and EGNOS [European Geostationary Navigation Overlay Service]; these are the big programs. There is some discussion about other programs. There is the question of space safety, for example, but this is still in the discussion phase right now. So we’ll see how much money the member states in the EU are ready to pay for it. The EU is our partner and customer. How much of a complication does Britain’s exit from the EU, while remaining a member of ESA, pose for ESA’s programs and cooperation with the EU? First of all, I still hope that Brexit will not happen. I’m an optimist and in that respect the last day is not there. For us the situation is a bit different to the EU one because the U.K. will remain a normal member state, which is good for us. Of course, in some of our programs there might be some issues where the EU is involved. I hope and I believe that if Brexit really happens, the U.K. will have some kind of agreement with the European Union with how to deal with the European space programs, like Norway and Switzerland, both member states of ESA but not members of the European Union. And that works perfectly. You mentioned ESA’s new launch vehicle programs, the Ariane 6 and the Vega C. What do you see as the future for those programs given the increasingly competitive global launch market and a lot of activities by, for example, SpaceX and Blue Origin to develop low-cost reusable launch vehicles? It’s a good question but it’s not easy to answer. Launch is not a mass-market. If you look to a daily product, your water bottle, you would say the bottle is produced in the millions per day. Is it defined worldwide that reusability is the cheapest method? It’s not. You can find reusable bottles, you can find recyclable bottles, and you even find bottles which are just destroyed. It’s not clear that reusability is the one and only solution. Reusability is fine from an ecological point of view. From an economic point of view, I don’t know. We are developing in ESA technologies for reusable launchers, but personally I’m not convinced that this is the only solution. I believe we have to go into more disruptive solutions for launches in the future. But, of course, you are right that the competition is very fierce. We are trying to develop a very efficient, reliable launcher family with Vega C, Ariane 62 and Ariane 64. Our hope is to be as competitive in the market as we were in the past with Ariane 5. Also, Ariane 5 itself was not one of the cheapest launchers, but reliability counts, too. You talk about looking into disruptive solutions. Do you have anything specific in mind in terms of technology? Any disruption is welcome. We are looking at winged bodies, we are looking into new propulsion systems, hybrid propulsion systems, air-breathing systems and so on. We are looking to all the different possibilities because it’s not clear what is the most promising solution for the future. The chief executive of Arianespace, Stéphane Israël, has suggested he’d like to see Europe pursue a human spaceflight program using the Ariane 6. Is there any interest in ESA in such an effort? The development of Ariane 6 is in contrast to Ariane 5 as it is not being developed for human spaceflight. Ariane 5 was developed originally for Hermes [a crewed spaceplane]. For Ariane 6 we are not looking to this, but I would not say never, meaning who knows what comes up in the future? Maybe one day Europe starts again to enter into human spaceflight. That’s possible. What other priorities do you have? Space safety is for me very important. We have orbital debris, space weather and near Earth objects endangering life on Earth. We will ask for ideas. We would like to put public money into doing something, but also a private investment to go beyond, so that means not only removal of debris and old satellites but also maybe recycling or enhancing the operation time of some spacecraft by doing maintenance. This is something we are trying to support very much with activities in space safety. This seems like an area particularly well-suited to international cooperation. Yes, but one should not hide behind that. Some people are saying because that is for international cooperation, we wait until the others are saying yes. This is the wrong behavior. Of course, it’s best if we do it together, but as the director general of ESA, I would propose to the member states to ESA to go ahead right now. When do you think you’ll be able to get approval from the member states? I don’t know. You should witness a ministerial. It is a miracle. It’s a bazaar. You start on the first day with a big bunch of proposals for different aspects and then you have to see which proposal is supported by the member states and which one is not supported, and the funding of the member states is limited. You have to withdraw one proposal in order to get the money for another proposal. What I can tell you is that I would propose something next year for the ministerial. 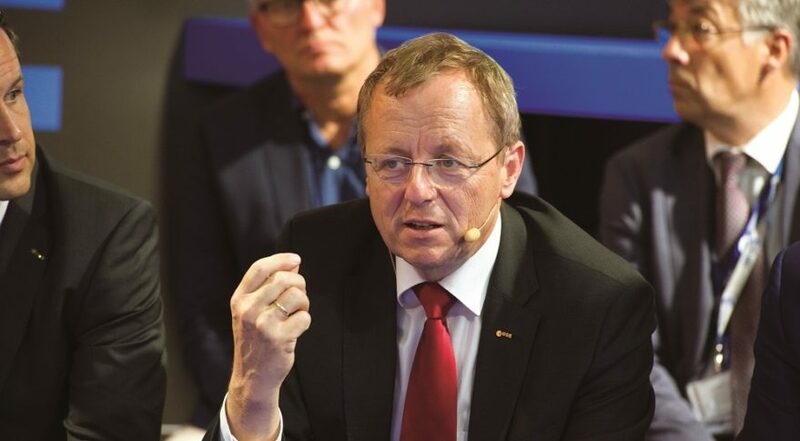 When your time as ESA director general ends, what do you want to be known for? When I was presenting myself to become a director general, somebody asked me, “In 10 years’ time, what would people say about your term as director general?” I believe what I have tried to do is that I really was able to initiate a shift of paradigm, especially with regard to participation of many, because it’s very clear that two brains are better than one brain, three brains are better than two brains, four brains are better than three brains. Involving everyone is something that I believe is really crucial for the future of space.